It can be difficult to know exactly which browser, plug-in, credential, or special access is needed for specific applications. Thus, the Computing and Technology Services (CTS) Help Desk has created the following guide to understanding and fixing common issues associated with internet applications. For Internet Explorer users, do not select the Preserve Favorites website data check box. Cookies are an important part of computing and are required by many web pages. It's important for users to know how to enable and disable cookies as needed, or how to clear old cookies, which can store obsolete data and prevent pages from displaying properly. Java can be vital to certain operations within your web browser as it is used to run certain applications which normally open within a new window. 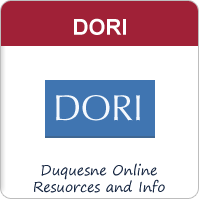 On Duquesne-owned machines, Java is deployed and updated by CTS. 2. Tap or click the Tools button , and then tap or click Compatibility View settings.